With our 2018 tour season wrapped up I’m more in love with Italy than ever. We celebrated the 30th anniversary of my Giro d’Italia win, which meant tackling some old-to-me, new-to-Cinghiale routes; and getting to climb the Gavia pass four times in one year. A private tour took us from Lombardy across the northern Italian mountains to Friuli, seeking some of the hardest climbs in Europe, some I’d never raced on. Traveling these mountains I found a new riding playground in the Carnic Alps. We were so inspired by these new climbs and routes (respecting the Zoncolan as a brute) that we spent a good amount of time there this summer scouting for a new tour in 2019. 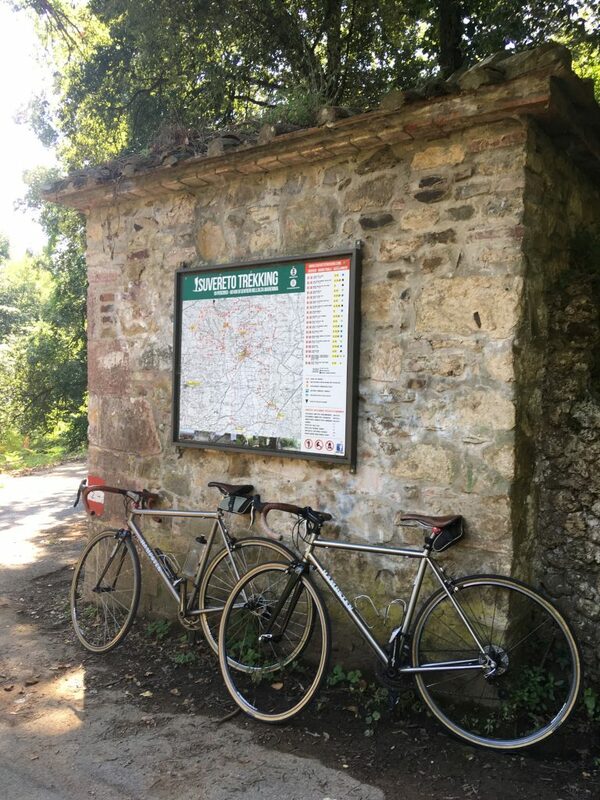 Our annual Tuscan tours prove to us time and again that the sweet spot for riding and cuisine is easily found in our back yard. We spent long days meandering through the varying landscapes of the Tuscan hills and everyday felt like we hit the jackpot— on the bike and at the table. I moved to Tuscany after retiring from professional cycling because it was the best place I’ve ever ridden my bike, and it still is. If you haven’t met Enrico Caracciolo on one of our tours I can only introduce him as THE cinghiale. He roams wild and free through Italy as a photojournalist focusing on cycling tourism and itineraries of food, wine, and people to discover by bike. He helped design our wildly successful Basilicata tour, and this summer brought us to the region of Cilento. Cilento is in Campagna, a huge park, it’s coastal, it’s amazing. The best mozzarella di buffalo I have ever eaten was there this summer. It was so impressive that we brought a cooler full home to our families. Everything about the area was fascinating to me— it hit my checklist for riding, food, wine, but more interesting was the culture, the natural parks that surround the region, the ancient history, and the relatively untouched land that we rode through. Easy to say, I’m excited to be doing two tours here in 2019— one for a private group of returning Cinghiale in the spring, and one for everyone in the fall. Thanks to outstanding guests and our great guides for making another Cinghiale season top notch! There’s a lot of negativity to deal with these days, but getting out on my bike and discovering beautiful places and people gives me hope that there is plenty good that can happen through genuine experiences and making connections with people of all types. We don’t call riding “a visit on doctor bike” for nothing. Happy fall to you, get out to vote, go ride your bike!